How Can I Get Help From Salesforce Directly? 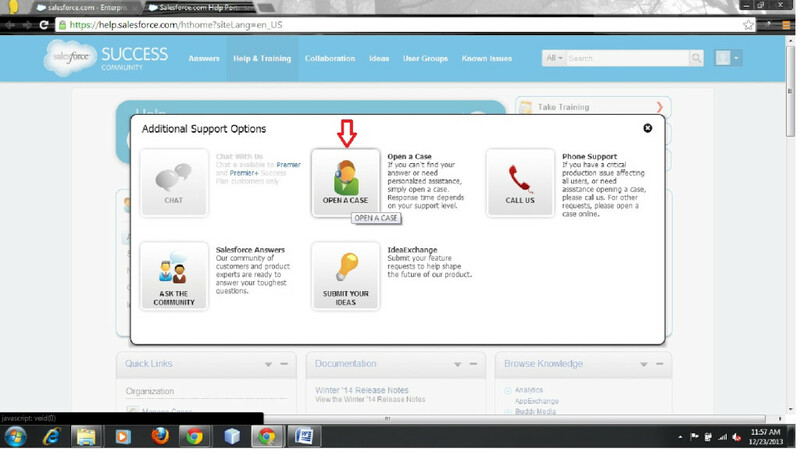 A Salesforce user had asked us a question of how they can get assistance from Salesforce directly. Our expert Salesforce development team thought it would help if we shared this information with the Salesforce user and development world. In this Salesforce blog post, we will tell you step by step of how you can create cases in the Salesforce community portal if you are unable to you’re your answers within the Salesforce help section. The response time of Salesforce depends on your support level. To help with routing your cases quickly, there is a field called “I need assistance with”, where you can select the type of assistance such as CRM, Sales and Billing and Help and Training. When you select the assistance type in Salesforce, it will automatically give you the related topic. 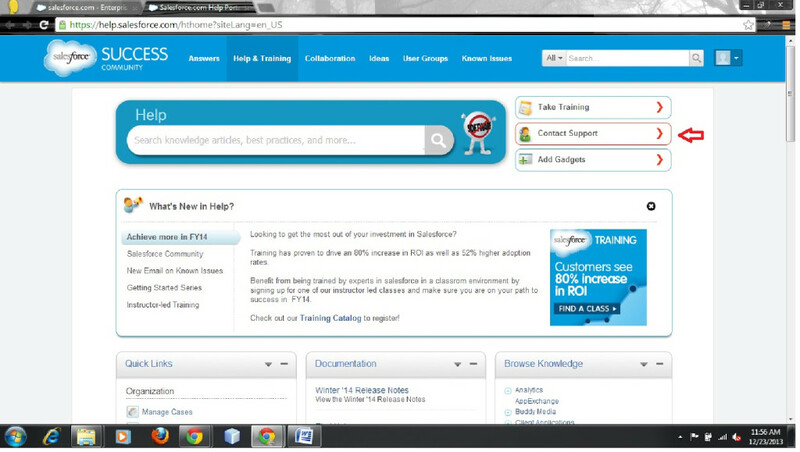 Step 1 – Click the “Help & Training” link in Salesforce which appears on the top right of you screen. You can see it in the screenshot below. Step 4 – Here you will get a form for you Salesforce case. 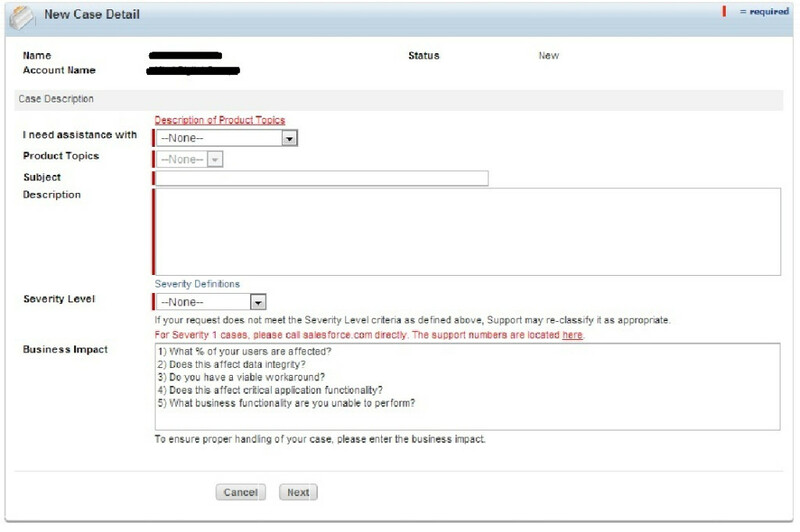 If you fill in this form with the security level as urgent or at the level you want, it will be prioritized accordingly. Step 5 – Your case will then be locked and usually within 24 hours, you will be able to get assistance. Many times if you do a simple Google search or look online for Salesforce help via blogs or forums you can get assistance with majority of your Salesforce problems. You would be surprised how willing people are to help you with any technical related or general queries you have with your Salesforce software. As always we hope this Salesforce tutorial was helpful for you and helped you. If you have any problems, need any help or have any questions please feel free to reach out to our expert Salesforce developers who would be more than happy to assist you with anything you need.